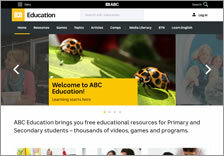 Screen captures of Australian contributors’ education websites, or education sections on government or corporate websites, for teachers and students of various ages. ‘Go’ buttons take you directly to the website. Note: These websites are not under the control of the publisher of ‘FOR TEACHERS for students’. Accordingly, ‘FOR TEACHERS for students’ (owned by Kids Media) is not responsible for the content of any linked website. Teachers should contact the external site for answers to questions regarding its content. A primary school program to promote a safer bike riding environment in Australia. Resources include: a curriculum-linked unit of work, activity sheets, extra cross-curricular lessons, bike safety facts/tips for students, and ‘just for fun’ activities. This Stamp Collecting Month (SCM) ‘Our Solar System’ website has great resource material for use all year round by primary teachers and students. Resources include a unit of work and extra curriculum linked lessons investigating the Solar System, including all the planets, and there are accompanying videos. Note: A sample of these resources be also be found in Themed curriculum support resources Our Solar System on this website. Australian content from across ABC TV and radio and high-quality video footage from around the world. 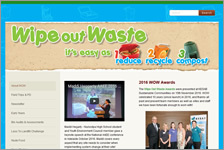 Resources include hundreds of videos, audio clips and games. Constable Kenny Koala is the friendly face of the program with a serious purpose — to teach children about safety, and to keep them safe for life. 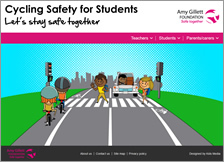 Resources include those relating to road safety, bullying, staying safe at school and in the community and cyber safety. 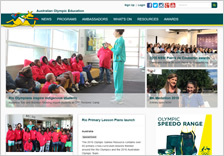 A wide range of education resources focusing on the Olympic Games for use in your classroom. 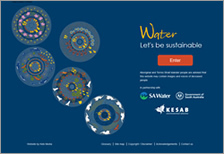 Resources are available for lower primary, primary and secondary year levels. Education resources relating to organic gardening and produce. Resources include comprehensive, curriculum-linked units of work (on the topics of organic gardening, nutrition and farm-to-me), activity sheets, student fun activities and resources for parents/carers and the canteen. 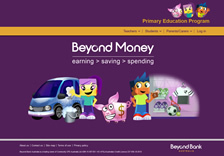 Beyond Money is a free financial literacy education program designed for students in years 5 to 7. Resources include a seven-topic unit of work, student fact sheets, work sheets and SMART Notebook files, and paper craft characters for students to make. Note: A sample of these resources can be viewed in Themed curriculum support resources Beyond Money on this website. 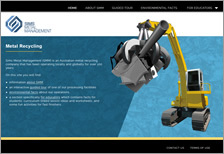 Our nation’s trusted advisor on the geology and geography of Australia, Geoscience Australia applies science and technology to describe and understand the earth for the benefit of Australia. Resources for primary and secondary students include background information, teacher resource booklets and student activities. Assists with educating about the importance of cultural diversity. Harmony Day encourages values, promotes participation and provides fun ways for students to learn. 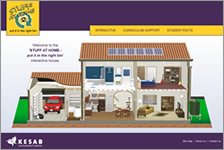 Resources include early childhood, primary and lower secondary lesson plans, student work sheets and more. 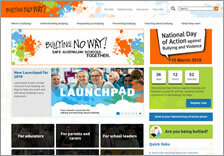 Note: Harmony Day resources be also be found in Themed curriculum support resources Harmony Day on this website. 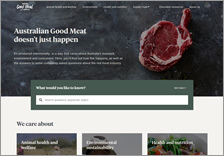 Good Meat provides important information about cattle, sheep and goat production in Australia, focusing primarily on animal welfare, protecting the environment, and health and nutrition. 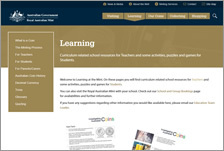 The site contains an education resources section where you can find study guides, lesson ideas, activity sheets, digital lessons and more. Designed to support and promote active citizenship with young Australians. Inquiry focused resources target three age levels: Years 3 – 6 ‘Hero’, Years 5 – 7 ‘Australia Day Celebrations’ and Years 7 – 8 ‘Exploring Australian of the Year Awards’. 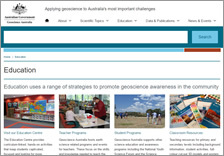 Note: Australia related resources be also be found in Themed curriculum support resources Australia on this website. All you need to know about planning a school excursion to Canberra, Australia’s National Capital. 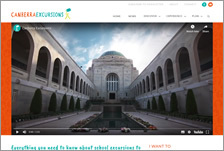 On the site you can apply for a National Capital Teacher Pass, request a free copy of the National Capital School Excursion Planner and find out more about Canberra’s attractions. 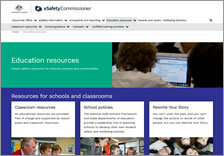 Education resources include those for primary and secondary students relating to cyberbullying. 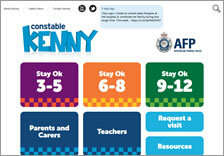 A Kids Helpline is provided and eSafety resources for parents. Resource materials to educate about the history of Australia’s coins, their value and how they are made. 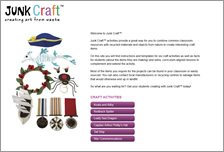 Included are curriculum appropriate units of work, lesson ideas, student work sheets and fun interactives for lower primary, primary and middle years teachers and students. 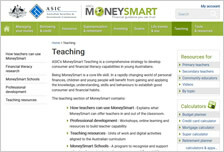 Note: Resources can also be found in Themed curriculum support resources Investigating Australian Coins on this website. 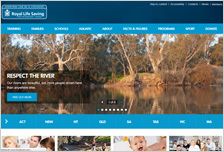 Works to prevent downing and facilitate healthy, active lifestyles by equipping all Australian with water safety skills. In the ‘Schools’ section you will find a number of different education programs with water safety messages for all ages. This website has a range of resources (including lesson plans, videos and posters) for schools, students and the wider community to take action against bullying. 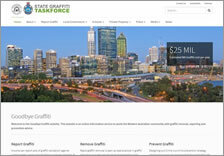 Information and comprehensive resources to assist with educating about graffiti prevention, reporting and removal. Resources include lesson plans for early, primary and middle years students, supporting resources (articles, videos, research etc.) and assessment rubrics. Developed by WA Police, but suitable for all Australian teachers.